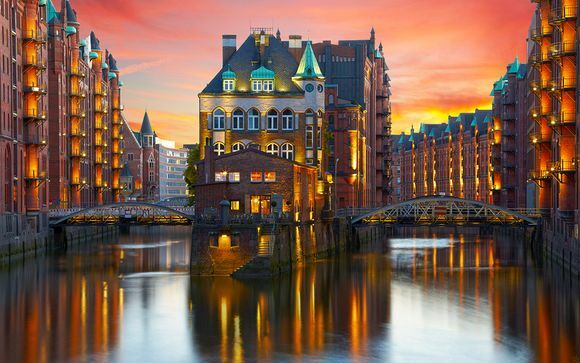 Holidays to Hamburg up to -70% off To take advantage of these offers, join now for free! 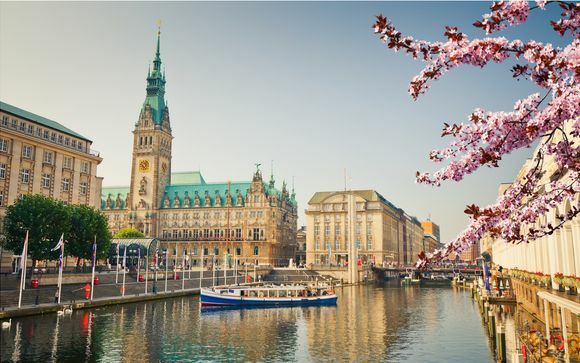 Lying at the end of the Elbe river, the beautiful and sprawling port city of Hamburg awaits. 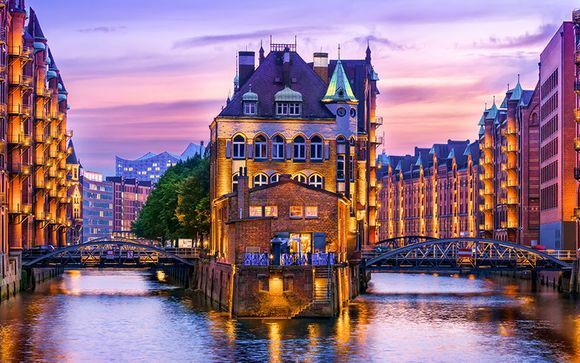 Germany’s second largest city is one not to be missed, and you can get deals on holidays to Hamburg with Voyage Prive! Book one of our last-minute holidays to Hamburg to experience all this city has to offer. 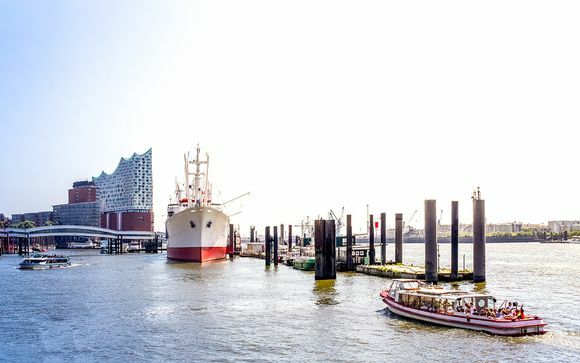 From cosy bars to relaxing spas, Hamburg is a great place to get away from it all. As a port city, there are plenty of activities to do by boat, including cruises and restaurants along the Elbe river and canals. One not to be missed is the Miniatur Wunderland, which hosts the world’s largest model railway. There are seasonal sporting events on offer, as well as live music across the port city. Exhibitions include everything from photography and modern art to the more unusual maritime history of the port. In fact, Hamburg has more than 50 museums in all, offering unique insights into the city’s history and culture. There are a number of historic sailing boat tours, as well as maritime parades. Hamburg is also home to some of the biggest parades and fun fairs around. This beautiful port city has set itself up to be a one-stop shopping destination for all shoppers. It boasts some of the largest flea markets on the continent, where you can pick up all kinds of hidden gems. There’s a whole affordable fashion centre, with bargains galore and designer items at low, low prices, and for those looking for that perfect piece for the home, Hamburg boasts a wealth of interior design and furniture stores. In Altona, there is a range of local designer stores where unique gifts can be purchased, and over in Sternschanze you are sure to find a bargain. If it’s luxury you’re after, then Altstadt is perfect, whereas, at Marktstrasse, those looking for vintage items will be very happy. There are specialist stores too for almost every hobby imaginable. Hamburg offers some of the finest luxury hotels in Germany, and with our last-minute deals, you can be sure that you’re getting the best. While staying in the city, why not try out a romantic canal cruise, or hire a Stadtrad bike for a free-of-charge cycle ride around the city’s beautiful landscape. Hop on to one of Hamburg’s many tour buses for a guided view of the city, with themes including architecture and comedy. After working up an appetite, why not relax at one of Hamburg’s many restaurants. With more on offer than most, there are places to suit any budget or palate. At Sternschanze and Karoviertel, foodies will be in awe at the counter-culture hotspot. With vegan and vegetarian options available and high-quality meals at low costs, it is one not to miss out on. In the city centre, you have even more choice, including Jungfernstieg and the Portuguese Quarter. There are culinary gems hidden in every corner of Hamburg, just waiting for you to visit. So why not sign up for last-minute deals on holidays to Hamburg today and experience this stunning port city first-hand.